Want to quickly see how the open-source software moregroupware works? You'll find a free and updated demo installation of moregroupware here. 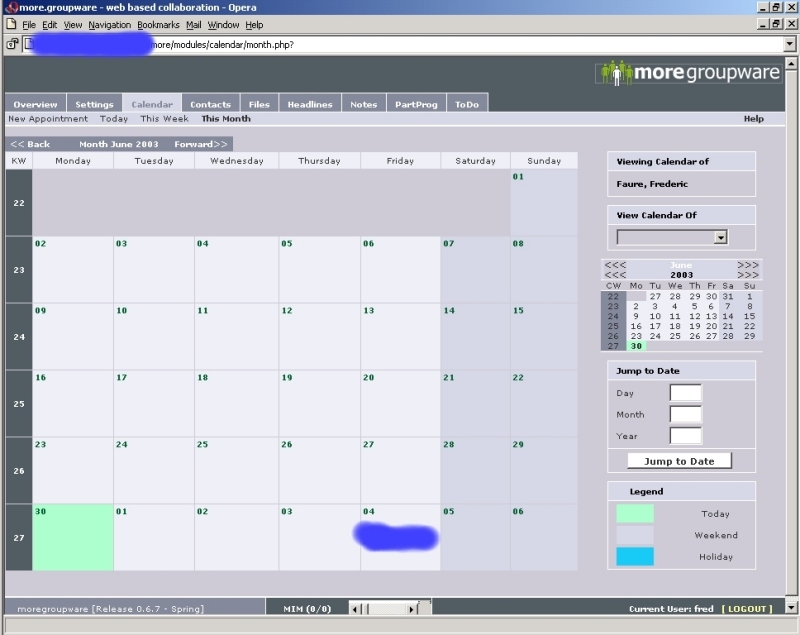 We are currently updating the moregroupware demo. Please check back shortly. There will be a new version up soon. MoreGroupWare is a web based groupware developed using PHP as a programming language that includes modules like webmail, notes, contacts, project management, todo lists and more. It was initially registered on SourceForge on July 24, 2001 and since then its community has been working on improving its features. The software is no longer being developed or maintained. The last version available for download is 0.7.4 and was released on April 27, 2004. If you want to review its features you can download it using the link below. However, considering it hasn’t been updated or maintained since 2004, make sure there are no security issues before going through the installation process and setting up your MoreGroupWare demo. The software is available in both English and German languages. The screenshots below will give you a preview of how the admin demo looks like and how you can use its features. The theme it is currently using is pretty outdated, considering it hasn’t been modified in over 10 years. However, you can still see some of its key features like project management, a todo list tab and webmail. The installation process has 6 steps and it shouldn’t take longer than 10 minutes to set up and create your own MoreGroupWare demo.